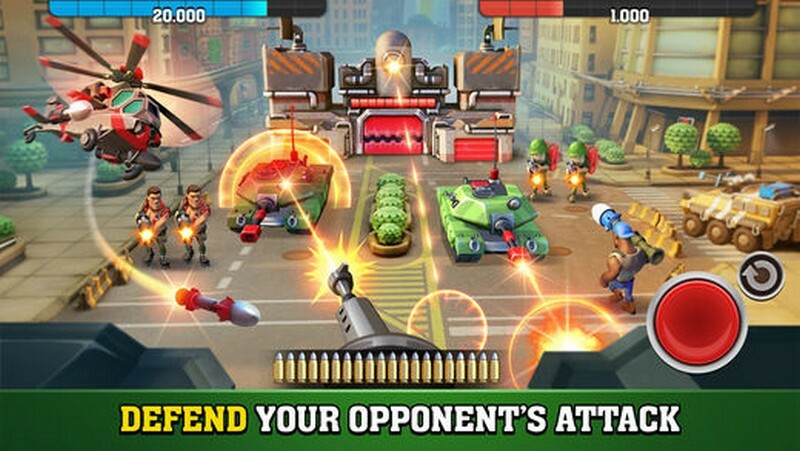 Mighty Battles is a free-to-play 3D mobile arena shooter developed by Hothead Games for iOS and Android. 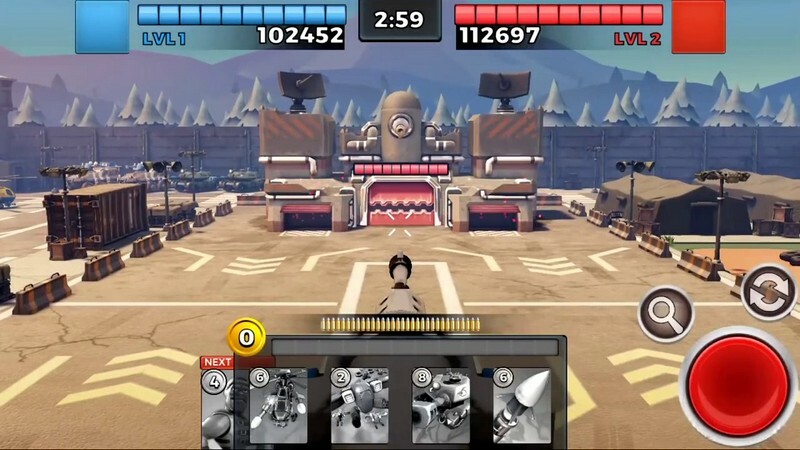 Acting as Commanders players are tasked with destroying any enemy bases they encounter by whatever means necessary. 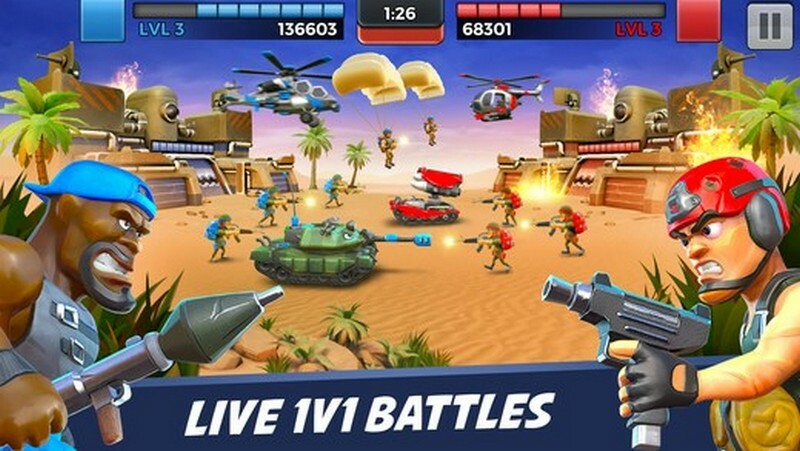 Deploy your units down the battlefield and take matters into your own hands by gunning down enemy forces yourself. 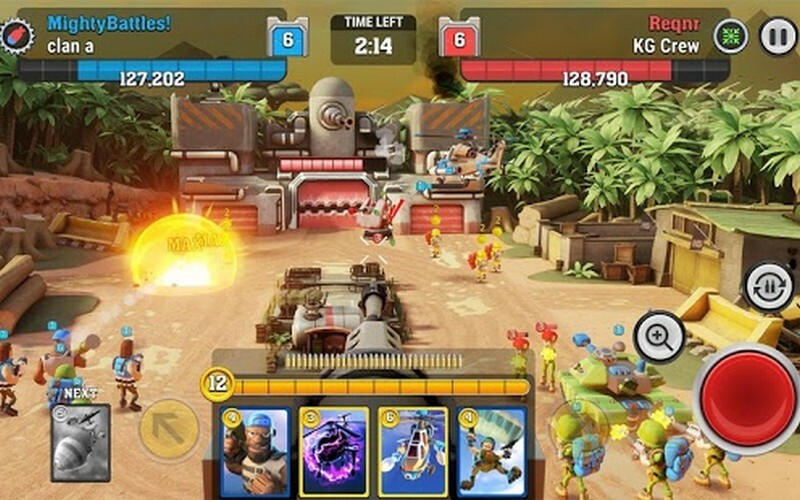 Eliminate the other Commanders who stand in your way of developing one of the strongest military bases in the world in Mighty Battles! 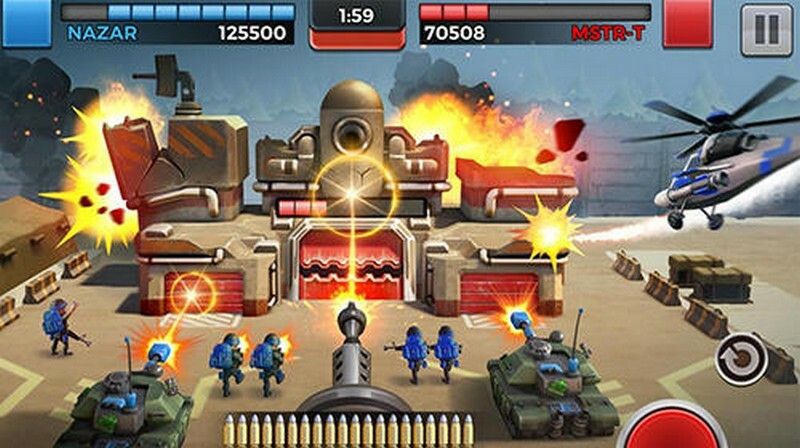 Victory Crates: Win victory crates that can be opened for even more resources and units that will help you grow stronger. 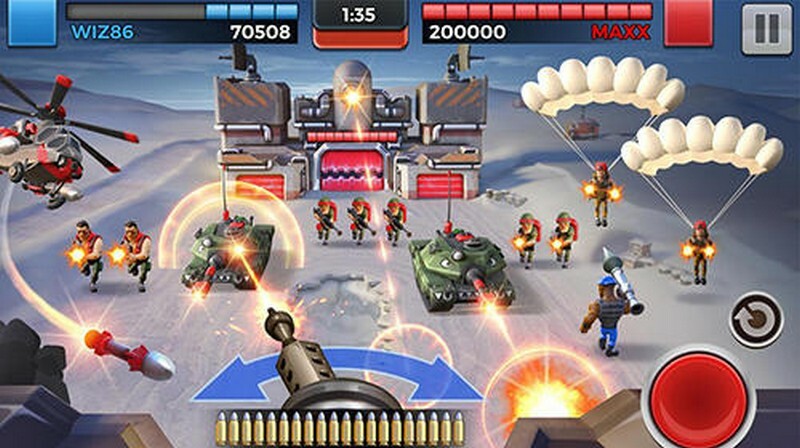 Diverse Units: Whether you need a grenadier, flamethrower, or rocket trooper you'll have a unit to counter every situation you're presented with. Leaderboards: Earn medals from wins to climb your way through the leaderboards and prove to the world why you're the best Commander.